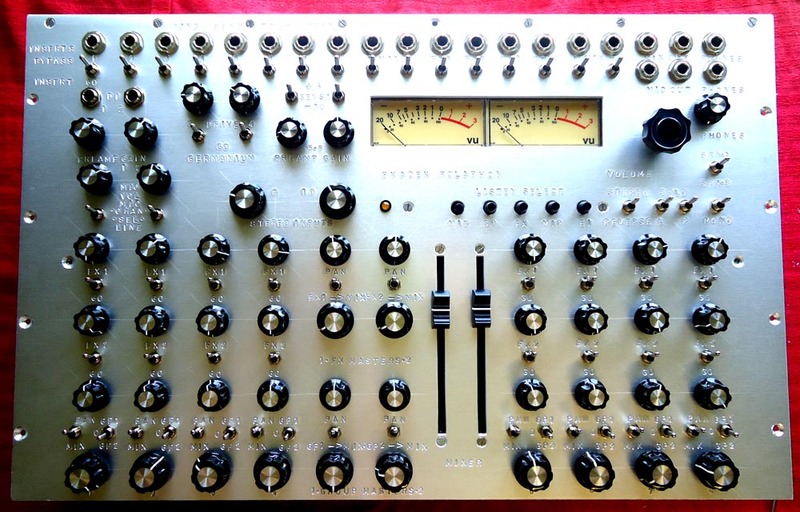 stereo recording mixer build. 8 mono channel input – two further stereo inputs. pair of mike amps and a pair of germainium preamplifiers . two fx sends per channel with individual go switches for extra play-ability. a pair of mono subgroups and a stereo mix bus of course. a full control room section enables complete studio and mixer monitoring . and processor insert abilities over all the inputs and outputs conveniently arranged in one row of top panel socketry . 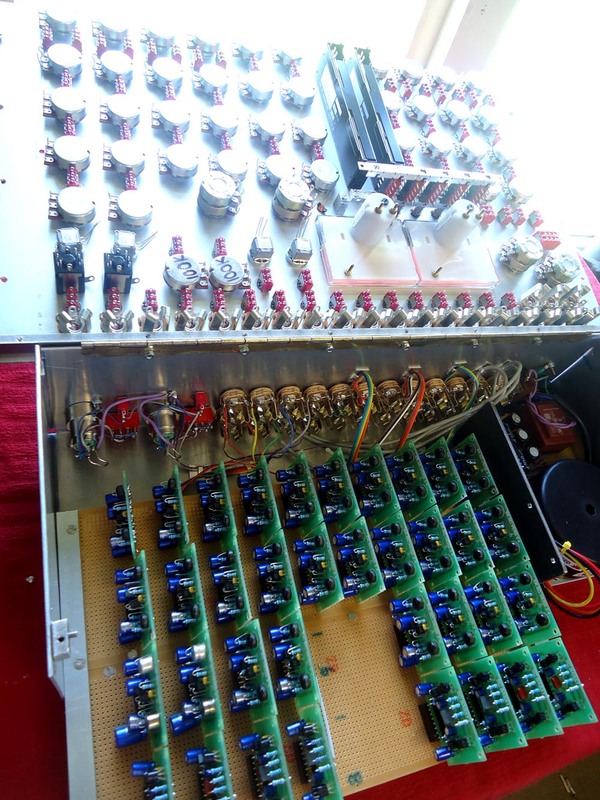 this ‘ rolaphon ‘ contains 38 transistor neve-ish amps and will fits into an old ROLA 66 tape recorder cabinet. the rolaphon opens up like a chest. plenty of expensive goodies in there.